This was a last-minute costume creation since we’ve had a freakstorm of warm weather in my neck of the woods. 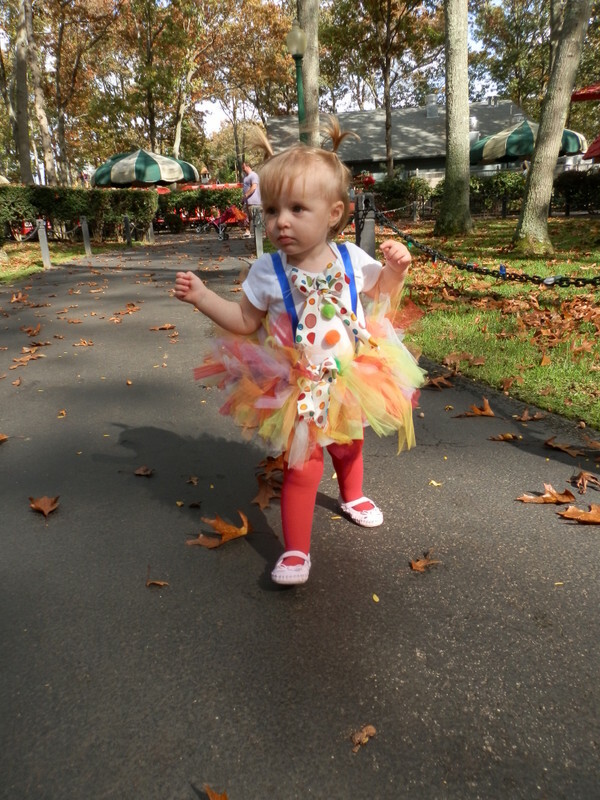 So after remembering I had the candyland tutu lying around I re-purposed it for my little clown! The other DIY details consisted of: taking a onsie and adding ribbon suspenders, a fun big bow tie and (matching skirt bow), glueing a few pom-poms and adding red tights and we were in business! I must say, I love when a project works out the way as planned!